AUCTION DETAILS: SN# 3526365. Springfield Armory reciever. Stock marked with circled-P on pistol grip. Army Ordnance crossed cannon and SANFR inspection mark. Absolutely gorgeous stock. Comes with two 8 round en bloc clips and hard rifle case. 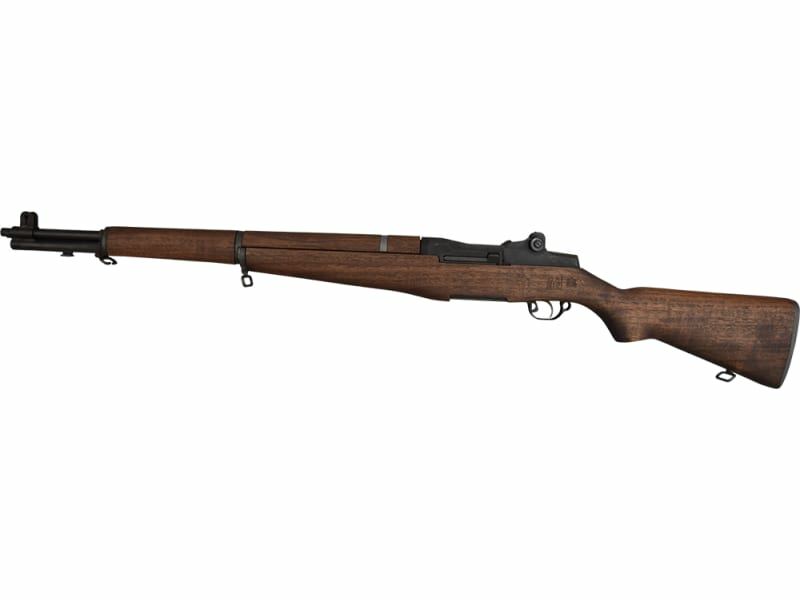 This beautiful rifle was once an original U.S. Military contract M1 Garand, semi-auto in 30/06 caliber. This fine rifle originally saw service with the U.S. military before being stored away in a U.S. maintained foreign arsenal where they were ultimately dismantled and brought back into the country. 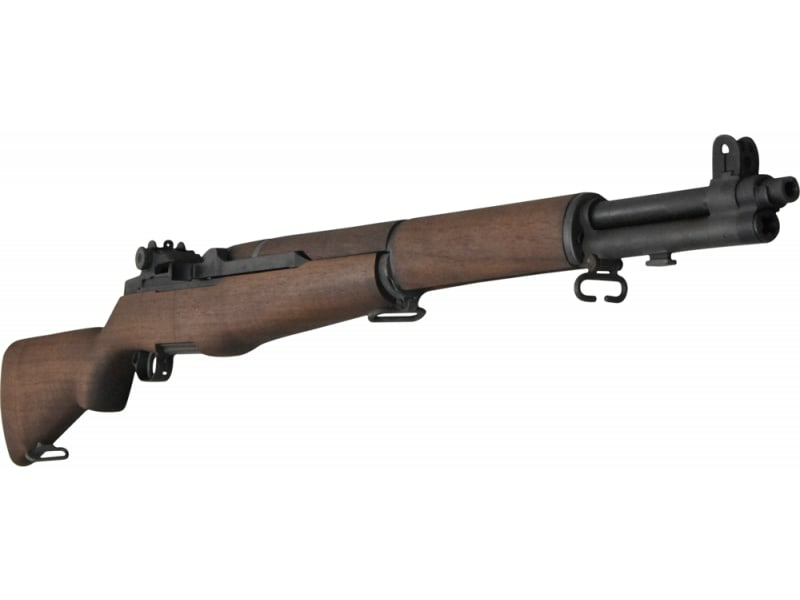 James River Armory has meticulously reassembled this rifle using all original U.S. made parts. 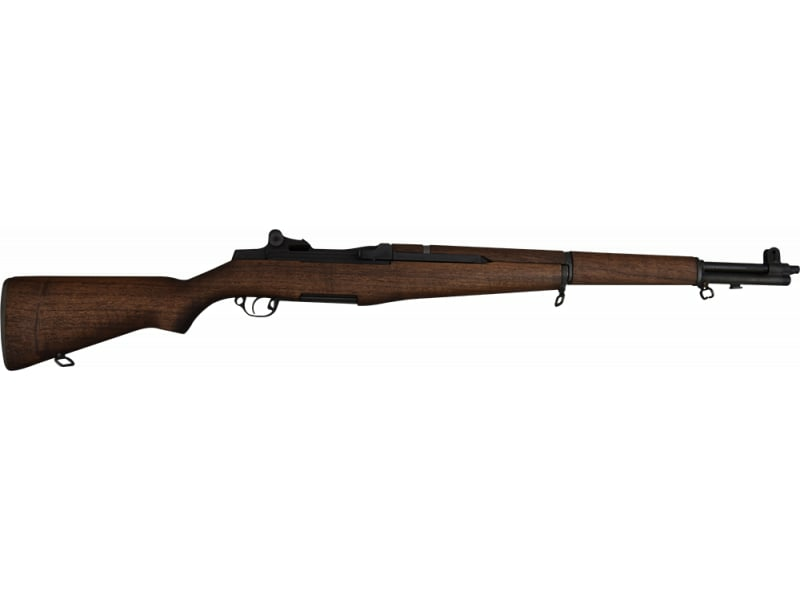 All metal surfaces have been professionally refinished to like new and all rifles have a new production American walnut stock historically correct to the rifle. Every part on the rifle has been thoroughly inspected for wear before reassembly and any parts not meeting JRA's high standard have been discarded and replaced where needed. All rifles are test fired and recleaned after final assembly. The result is a decades old rifle that is in near showroom quality that any military enthusiast or collector would be proud to own. Best of all, since this rifle came into the country as a parts set and was reassembled here, they are considered U.S. made (which they were either way) but since they were not brought back in as rifles, there are no import stamps. Do not miss this. A note about the rifle: While this rifle is beautiful by surplus condition standards, and certainly when compared to other Garands on the market, please know that it is assembled from surplus parts and will show some differences from a newly manufactured rifle. In other words, while it has been professionally reassembled and refurbished, to as close to new as possible, by one of the best builders in the country, the parts used were still original decades old surplus parts and upon close scrutiny you may still find a small nick or ding in a compensator or charging handle, etc. Because of the overall quality of this rifle this disclaimer would not even be needed for 99 out of 100 of our customers but every now and then we get someone who is ultra critical and will make a huge deal out of an otherwise very small, almost un-noticeable imperfection in one of these types of rifles. Military rifles were never made for beauty but rather for function in the first place and it was common to have minor cosmetic imperfections in these even when new. So, while we have done everything in our power to represent these accurately, if the only finish you would be satisfied with is that of a brand new Belgian Browning, then you may want to bypass these. Note: This rifle was re-fitted with a brand new Criterion barrel and should be a tack drivers. 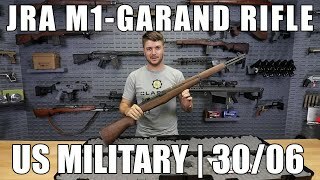 M1-Garand Rifle - Original Springfield U.S. Military M1-Garand Rifle, Semi-Auto, 30/06 Caliber Professionally Refurbished by J.R.A.